Hero Cat Dials 311 | Ottawhat? 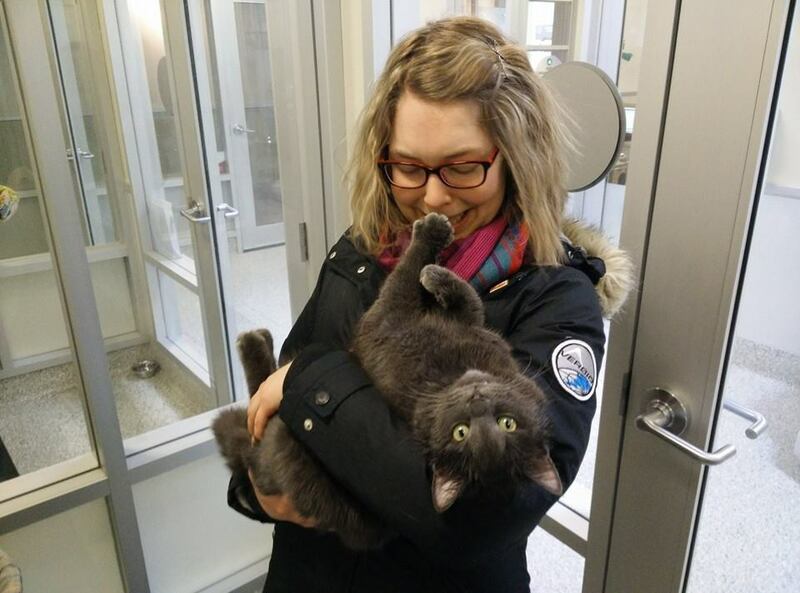 When Maya Boyanska took an impromptu trip to the Ottawa Humane Society a few months ago, she had no idea that she would be making a decision that would change her life forever. That day, she decided to adopt Smudge, a Manx cat with seemingly endless amounts of energy. Two weeks ago, Maya received a Green Bin voucher in the mail, addressed to “Mrs. Meow”. The young woman was surprised, as she had not contacted the city for one. “I checked my landline, and a call to 311 was made while I was at work! I never really thought about using a Green Bin before, but when I got the voucher, I decided I may as well try it out” she explains.